have to reach on or before 28/07/2016. Educational Qualification: H.S. Passed in Science Stream. Salary: Consolidated pay of Rs.6000/- (Rupees six thousand) only. Age: 18 to 38 years as on 01-01-2016, Relaxation of upper limit of age will be as per rules. 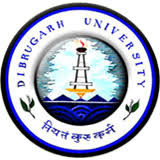 The prescribed form for the above post can be downloaded from the Dibrugarh University website www.dibru.ac.in. The application form must be submitted to the Assistant Registrar (Admn) i/c, D.U. along with all the necessary documents and Demand Draft of Rs.100/- (Rupees One Hundred Only) drawn in favour of the Registrar, Dibrugarh University payable at Punjab National Bank, Dibrugarh University Branch, (Code 994000) Dibrugarh.